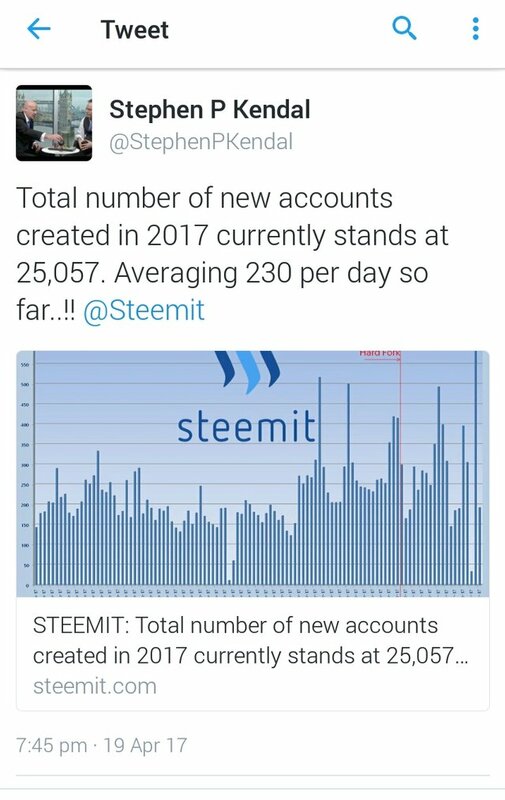 STEEMIT: Total number of new accounts created in 2017 currently stands at 25,057. Averaging 230 per day so far..!! 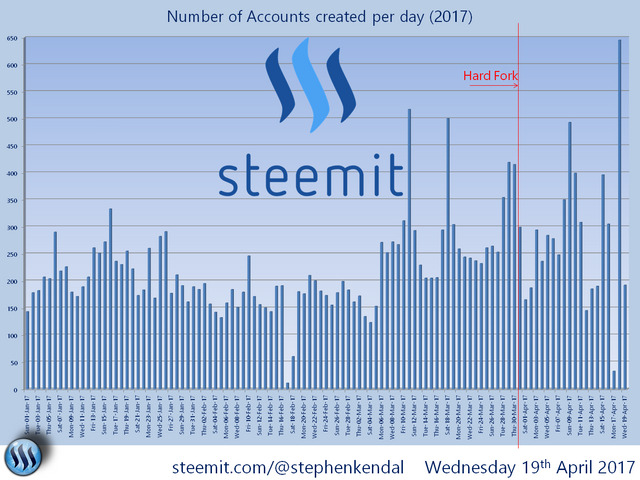 I just wanted to share a few statistics with you on the number of New Accounts created on STEEMIT in 2017. January daily average = 217 Accounts/day. February daily average = 166 Accounts/day. 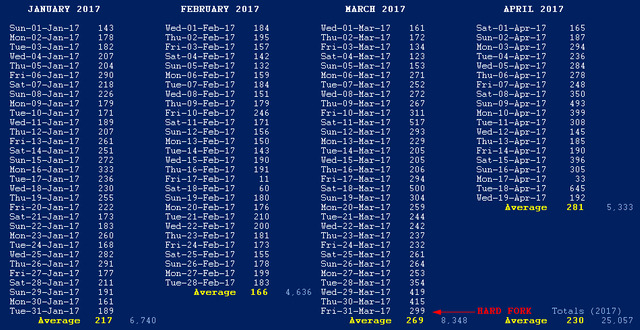 March daily average = 269 Accounts/day. April daily average = 281 Accounts/day (so far). Year to date daily average = 230 Accounts/day (so far). Hope these statistics are of use. our internet traffic ranking, according to alexa, is also increasing. Where did you get that information from? I would like to look this up for myself frequently. 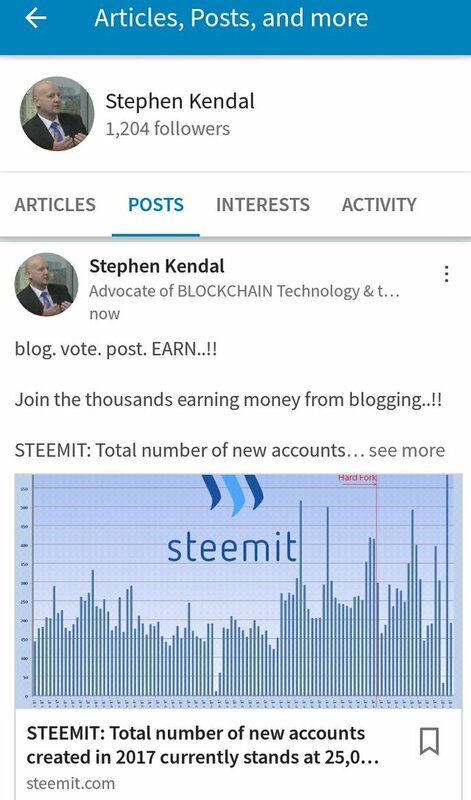 this is good stuff, keep up the updates! Thank you again for the update! It sounds like a nice daily adoption rate, let's hope it keeps up! I think there is potential for much more. Mastodon is getting thousands per day as word spreads in the geek community. We need to get that same viral buzz going. It's not just about money, we have cool technology and freedom here too.